In this mixed-media exhibition exploring the layers of Phnom Penh, we use painting, photography and augmented reality to propose a different, stimulating approach to the urban space and city life. The series of artworks is based on abstract paintings by Flori Green, each one installed in various parts of Phnom Penh and photographed by Miguel Jerónimo, then drawn over again after being printed. Literally taking art out of the conventional frame and right into the city, the visual elements tend to escape from the gallery walls. 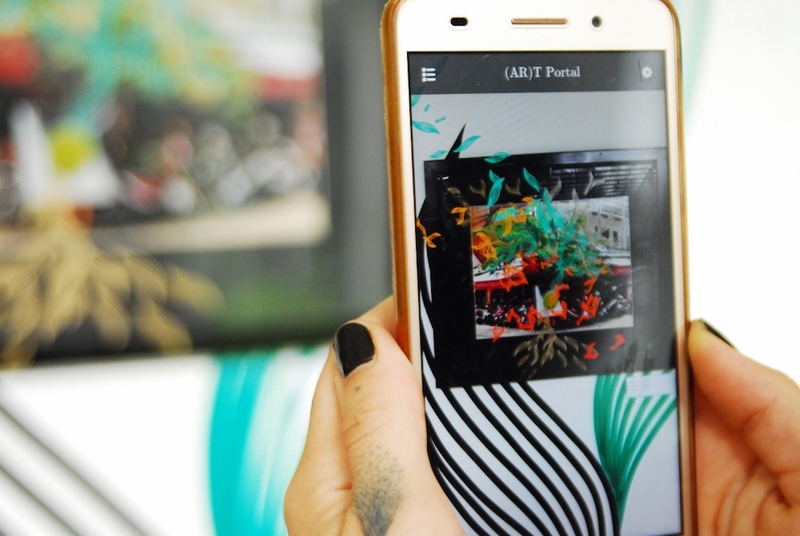 Carrying on with this playful exploration of the moving borderlines between reality and abstraction, Eric Gu has designed an augmented reality application that enhances digital animations coming out of the pictures.